This government seems to be totally unaware of the pressure that north county Dublin commuters are enduring on a daily basis. As it stands the current rail service is inadequate for Balbriggan, Skerries, Rush, Lusk and Donabate. Indeed Balbriggan had a morning service cut two years ago, which has not yet been reinstated. All these towns are growing and indeed Fingal as a whole will be growing significantly in the years ahead. Have we not learned anything about the bad infrastructural planning from the Celtic Tiger years? In the coming years, Fingal will be one of the fastest growing areas in the county in terms of population and housing . Government has a duty to put in place proper infrastructure and in particular fully provisioned public transport services for the people of Fingal. This inadequate proposal from Irish Rail shows that now more than ever we need better oversight of how Fingal develops in the years ahead. 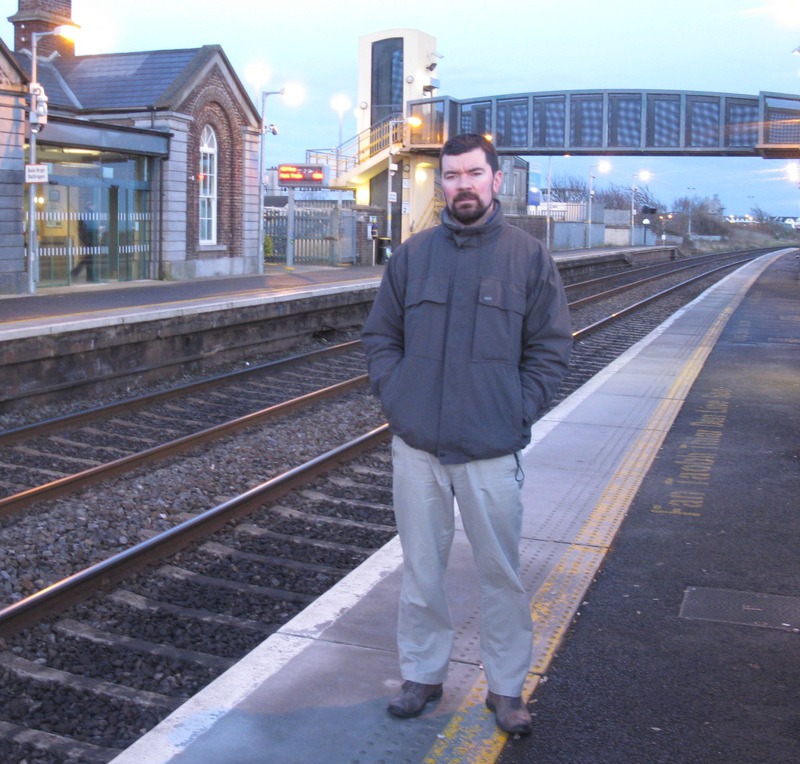 The decision to exclude Balbriggan, Skerries, Rush, Lusk and Donabate from the expansion of services is hard to believe but what is outrageous is the fact that all these town are actually having their number of rail services reduced each morning. In addition with have an M1 and M50 that are increasingly overloaded and dangerous. We need to be trying to pull motorists off the roads and into public transport where possible, not vice versa. It also says a lot about how deceiving government spin is. I have noticed government sources publicising how great this ‘proposed expansion’ is for the north county when actually,it is a reduction in services for the towns mentioned! Voters should be very wary of promises of projects and spending that are going to be announced between now and the election. 2016 is a very big year for Ireland. There will be a very important General Election in 2016. For that reason but also as a mark of respect to all the sacrifices made by people in 1916 and in all the conflicts of the time that were in one way or another tied to cause of sovereignty, I hope people come out in force to cast their ballot. I have certainly been inspired by the fact that my Grandfather was prepared to take serious risks and make sacrifices to do what he felt his country needed. I think next year will be a year of looking back but we will not do justice to 1916 unless we also try to look forward. The rising was about trying to secure a long time future for Ireland and unfortunately I don’t think there is enough of that approach in Irish politics at the moment. As an economy Ireland’s long term vulnerabilities have not only been not tackled but in some case exacerbated in the last 4 years – our reliance on multi-nationals, our dependence on exports and our energy system’s huge and unnecessary orientation towards fossil fuels are contributing to a very uncertain future for Ireland that government does not want to talk about. Crucially for me as someone who has worked in the area of social justice all my life I am very uncomfortable with the fact that the State has failed the spirit of the proclamation which committed to cherishing all the children of the State equally. We are a very unequal society and my decision to get involved in politics was driven my desire to tackle that inequality in a positive and constructive way but also with passion and commitment. Ireland’s approach to tackling climate change must also be front and centre of debates on Ireland’s future in 2016. I would like to invoke a sense of patriotism not just towards Ireland of the past but Ireland of the present and the challenges that we face as a local communities, a nation and the global community in the face of a challenge that government is running away from. I think Election 2016 is also an opportunity for people to cast their first ever ballot. I am not just talking about people who are turning 18 but also those who have been disenfranchised by the political system and have decided not to vote. This is not an issue we adequately engage with in Ireland – the fact that a significant minority of people don’t see the point in using their vote. What a great year to cast your first ever vote, but only if you are registered! The deadline for registration is fast approaching with little more than a week away to November 25th. The electoral register and voter registration forms can be found at www.checktheregister.ie and completed forms should be returned to Franchise Section, Fingal County Council, Main St., Swords. I wish to highlight the need for supported housing for older people across Fingal. Over recent months i have received a number of representations from older people and their relatives in towns across Fingal in relation to the need for more supported housing tailor made for older people. In particular people from Skerries, Malahide and Portmarnock have raised this issue. This is no surprise as these three towns have the highest percentage of over 60s and over 70s in Fingal. It’s clear there is a gap in provision between the cohort of people who need a level of support to stay in their own homes and those whose needs can only currently be met in a nursing home environment. There are really excellent community based models in the European context that we simply have not learned from in Ireland. So many people could be accommodated in tailor made supported housing if we had it but they end up going into the nursing home system. Supported housing for older people is much better able to keep people in their own communities for all their lives, it also enhances a person’s social network and helps keeps isolation and poorer mental and physical health at bay. The Age Friendly Initiative in Fingal is certainly an excellent programme and I understand that at the moment the Age Friendly Housing Sub-Committee in Fingal is assessing the housing needs of older people. I have written to the Chair of the Sub-Committee to ask that the Committee seriously considers supported housing for older people as one of the options to address the housing needs of older people in Fingal. Obviously people will ideally want to stay in their own home for as long as they can and I welcome the pilot OPRAH (Older People Remaining at Home) Initiative in this regard. When remaining at home is no longer the best option we need to be offering our older people much more attractive options that what is currently available. It could be one of the saddest events of a person’s life if they not only have to move out of their home but also their community – supported housing needs to be in the mix as an option. I don’t think we can truly call ourselves an Age-Friendly County until all our senior citizens are satisfied that there are housing options that will allow them to the rest of their lives in the communities that they are a part of. This particularly needs to be considered in the context of the number of housing units that are expected to be built in Fingal in the coming years. One of the lessons of the housing crisis should be that a 3-bed semi-d only works for one group of people who are at a particular stage in their lives. We need more variety in our housing stock and our stock pf supported housing for older people needs to be bumped up significantly in the communities where it is and will be needed. I would like to take the opportunity to praise the community effort in Skerries after the allocation for works in Skerries library was expanded dramatically from €100,000 in June 2014 to €530,000 euros. Last November I ran a comprehensive campaign in Skerries asking people to contact the county manager to urge him to open a public consultation process on the money allocated for works on Skerries library. This was following on from a public meeting I held earlier that year on Participatory Budgeting – an innovative form of community development, democracy and fund allocation that is practised widely in the UK. I was delighted when the Council decided to run a public consultation on what people wanted to see in their library earlier this year. I further promoted this consultation process. The people of Skerries have responded in force to this public consultation and have sent a clear message to Fingal County Council. I am delighted to say that Fingal County Council received 247 inputs into the public consultation on Skerries library. But of course this is not the big news. The Fingal County Council capital plan that has been recently published has shown a huge increase in the money allocated to Skerries library up to a figure of €530,000. This is a real tangible example of positive ‘people power’. I hope now the Council will now seriously consider running a full Participatory Budgeting process. It is clear from the response to this public consultation that people are keen to have a say in how their money is used by the Council. Hats off to the people of Skerries and to the Council for reciprocating the community commitment! I will now work to ensure that this allocation is follow through on over the coming the years and that we have a library that will do justice to our town. I am delighted to say that the allocation allows for expansion of the current building and refurbishment of the interior which combined should significantly increase the capacity of the library and make it an even busier hive of community activity. A provision of €530,000 has been made and this expenditure will be funded from revenue provision. Skerries Library is a Carnegie building which first opened in 1911. It is a two story structure with a cut stone front façade. The Library has undergone very little refurbishment or enhancement over the years. The fabric of the building is in good shape with many original features still intact. The upper floor is currently not suitable for use by the public. The Library currently serves a population of 9,671 and it is well used by residents of the town and surrounding areas. A recent survey on the proposed refurbishment of the Library attracted 247 responses. 74% of those who responded said they would like to have a more comfortable leisure reading area in the refurbished library and 48% said they would like to have more study desks. The refurbishment is likely to be carried out in two phases. The first phase will involve the internal remodelling of the ground level and the renovation of the upper floor. The second phase will be a small extension in the garden area at the back of the building.